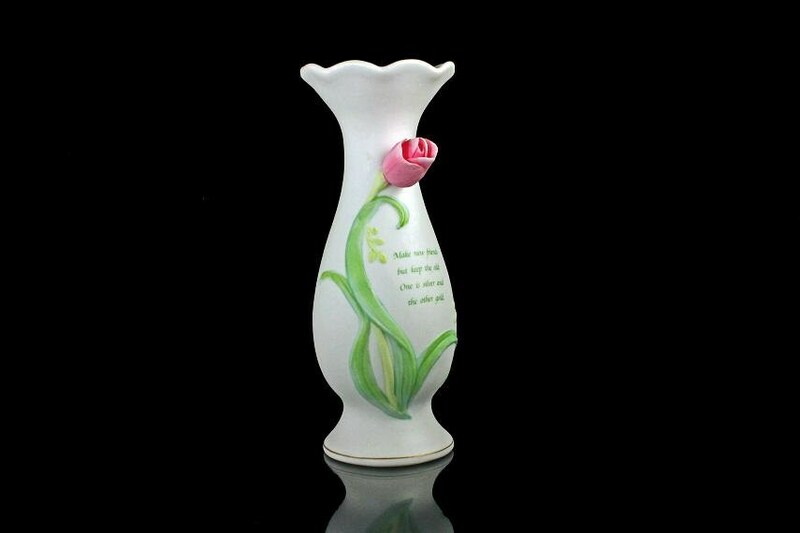 This is a gorgeous white vase with a pink rose that is attached to the side giving it a 3D effect. It has a pedestal foot. 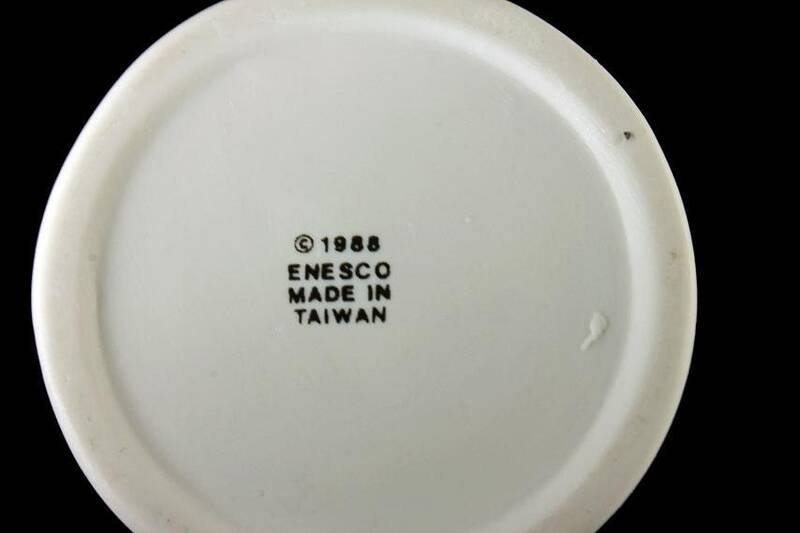 It was imported from Japan by Enesco and made in Taiwan. 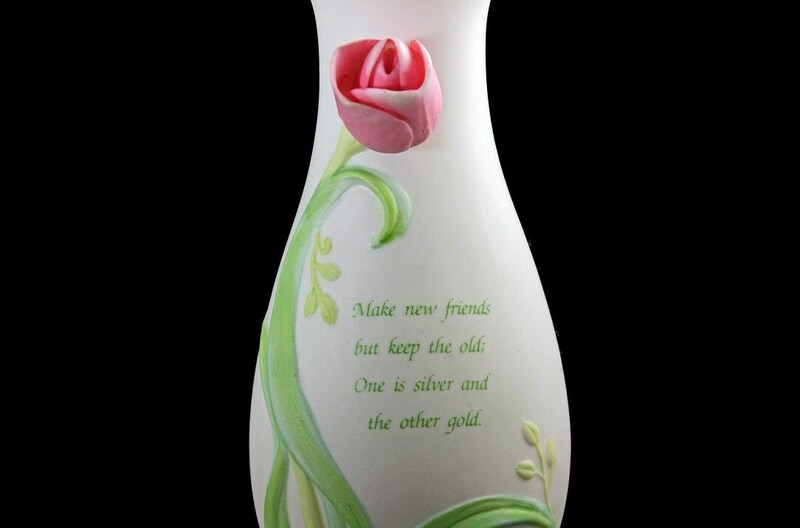 It has an inspirational saying under the rose: "Make new friends, but keep the old; One is silver the other is gold." What a great way to celebrate a friendship. 2 1/4 inches in diameter at the base. 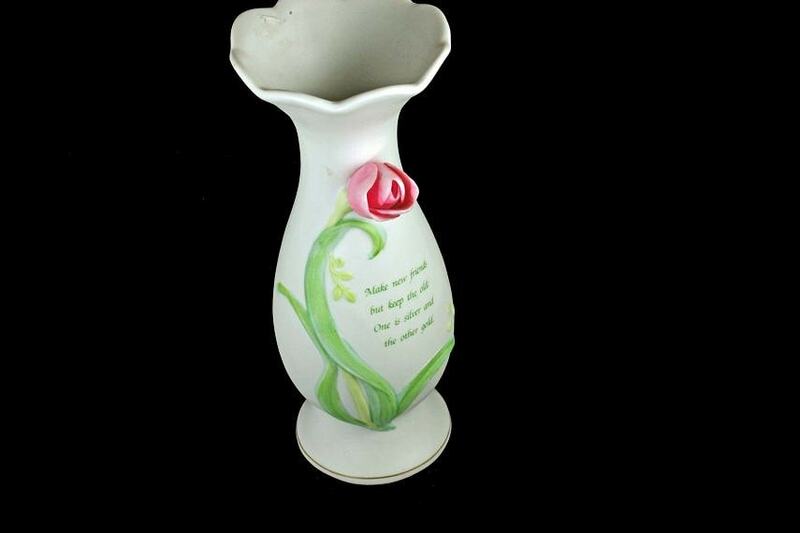 This is a vintage vase but in great condition. There are no chips, cracks or mars. 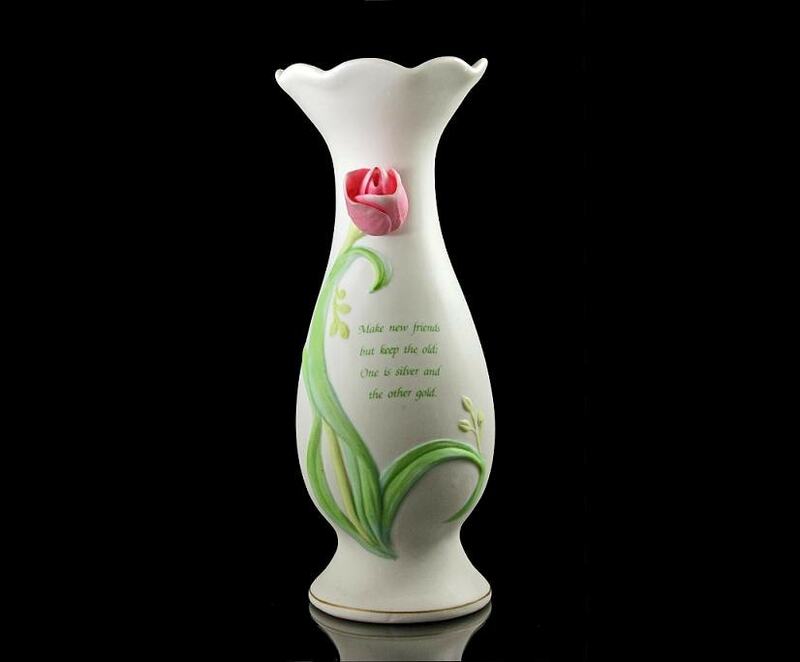 A wonderful small vase for the collector or just to show someone you care.